> NHVR flags start date for electronic fatigue diaries. > Fatality reports and alerts issued in three jurisdictions. > Workers' comp rules changing in WA. > NT amends drug testing provisions of Rail Safety Regulations. The Northern Territory has introduced a Bill that establishes "fit notes", caps injured workers' weekly and medical benefits, and follows South Australia's lead by changing the name of its workers' comp statute to the Return to Work Act. > NT promises to cut journey claims and introduce "fit notes". Workers running the drug-testing gauntlet, survey reveals; Being crushed a leading cause of work deaths; Comcare tops RTW scorecard; and Presumptive cancer compensation promised for NT firefighters. 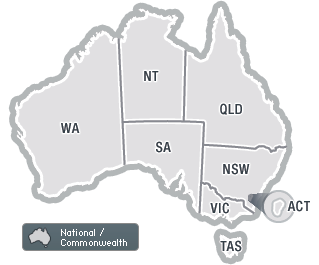 The Northern Territory is likely to become the next jurisdiction to introduce UK-style "fit notes" for injured workers, under one of 58 recommendations for change to its workers' comp scheme. CMG shifts focus to TRIFRs, as Georgiou 'personalises' safety; More model WHS Codes for mines released in NSW; and New accident compensation laws commence in the NT soon.